It is true that Snapchat hack is not an easy nut to crack. In fact, it takes a lot to get through someone's Snapchat account. Advanced monitoring tools are required to hack Snapchat. 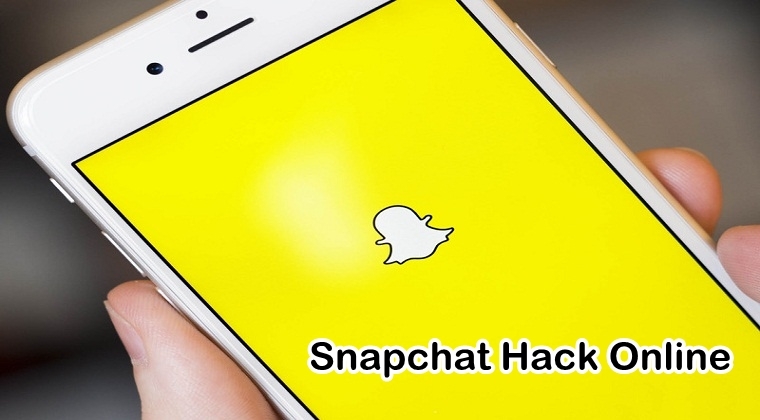 In this topic, we are going to help you know about the easiest way for Snapchat hack online. By carrying out a quick Google search, you are able to come across a wide range of tools for Snapchat hack online. What you do not come across is that none of the websites offering these tools actually work. In fact, they are used as online surveys that is actually a disguise to lure users to visit their sites so they can earn more money. Although this can be seen as a smart idea, it means that any person who wishes to hack someone's Snapchat account and monitor their activity can't. The same is the case with any hacking tool that you come across on the internet. You will find a bunch of these tools but all of them are blocked by online surveys. Is Snapchat Hack the Right Thing to Do? When we speak of Snapchat, we see that are several tools available on the internet only for Snapchat hacking and spying. Given its unique story sharing feature and the amazing facial filters on the app has made Snapchat the best social media app among the users. Snapchat is commonly used by youngsters and teens who love sharing their snaps and videos with others on the app. The app allows them to share snaps/videos that disappear after a certain time period. Now, this is what makes Snapchat extremely mysterious. Once the story disappears, nobody will be able to see what some person has shared on the app. This is something that may not go down too well with parents who'd like to keep a check on their child's social media activity every now and then. Given Snapchat's popularity and its ability to vanish the shared content, parents will want to consider looking for a method to hack Snapchat. Even though many people think Snapchat hack is not the right thing to do and call it as an unethical way as it breaches someone's social media privacy, still there are some who believe it is important to keep an eye on children's online activity. This helps them know their children are safe on the platform. While there are numerous Snapchat monitoring tools available on the internet, we will tell you about the easiest way to hack someone's Snapchat. At the top of our recommendations list, we have Mobistealth which is known as the best Snapchat hack tool. Over the last few years, Mobistealth has garnered a positive reputation among the users and is known to be successful for monitoring digital devices as well as the online activity of someone. Not a long time ago, Snapchat hacking feature was added into the tool, making it just reliable and easiest as before. It is noteworthy to mention that Mobistealth goes much further than just Snapchat hacking. In fact, the same monitoring tool can be used to track phone calls, text messages, social media apps, web browsing, etc. This is, undoubtedly, the ideal monitoring solution to use for keeping your children safe on the internet. One of the important features of this monitoring tool is that it after you install it on the target phone, for instance on your child's phone, you can hide it so that your child does not come to know that they are being spied on. All you need to do is download and install Mobistealth app on your child's phone and hide its icon from the application list. This step is only for Android phones. Therefore, if you are a concerned parent who does not want your child to face any trouble while using Snapchat, we highly recommend that you consider using Mobistealth as your Snapchat hack tool.